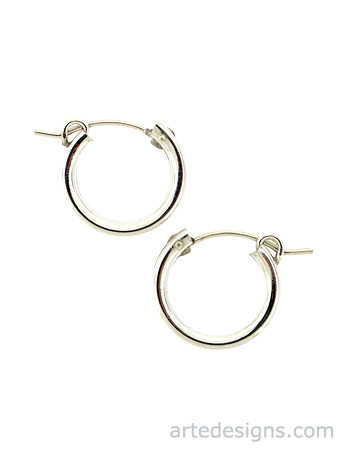 Every girl needs a pair of little sterling silver hoop earrings. This pair is made entirely of sterling silver, is just over 1/2 inch, and the tubing is 2mm. Lightweight and perfect for wearing everyday. Wear it alone or with other earrings if you have multiple ear piercings, you can't go wrong.